If you haven’t been touched by the movie of the same name yet, worry not. Because even in reality blue is the warmest color. 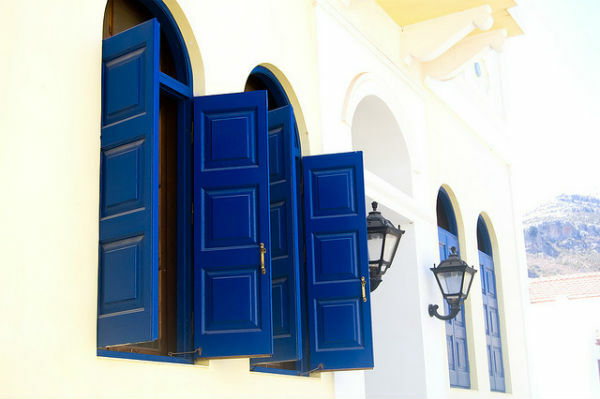 When someone says blue in home decor, we think of Greece. Indeed with those iconic blue windows and painted furniture against pristine white walls, the azure sky and the blue seas, it is difficult not to fall in love with that look. Now bring it home in 5 ways that are standalone, smart, affordable and uplift your surroundings in a jiffy. 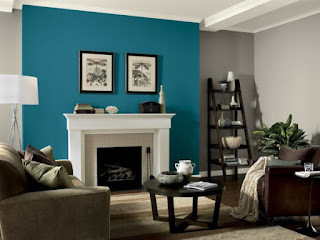 Of course the most obvious way is to select one wall in your house which is at present blank, or can be made to be so and paint it your choice shade of blue. It could either be solid blue or have different shades. You could even texture it using stencils, other material or simply a creative wielding of the brush and roller. Once you are done, stand back and figure out how you’d like it to be. The easiest would be to leave it that way and let it give off the warmth of home and hearth or you could frame your favorite photographs in black, white or canary yellow frames and peg them to the wall. You could create a wall decal of your favorite posters in black and white or colors to give it a different feel altogether. The easiest way to turn any room on its head décor wise is to get curtains and other drapes. Here we will stick to only curtains. 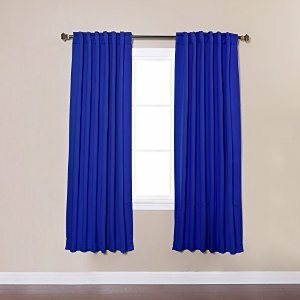 Blue curtains depending on its color shade can either completely block out the light or create a sheen of sheer romance and beauty giving the room a breezy, light feel. If you are a lover of creativity, you could even get blue light cotton or satin curtains digitally printed with your favorite painting or motifs. A google search can throw up some amazing blue background images. Hang these up and voila! You have transported your room to the romantic age. Cushions and throws can jazz up a room in all the time that it needs for you to procure one. 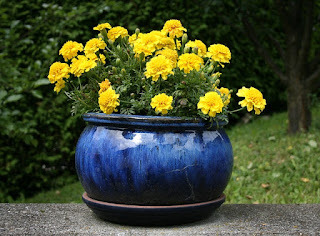 A simple way to change the way your space looks, go blue and watch the magic unfold around you. A fun Sunday activity, grab a few clay pots, get out your paintbrush and all the blue paint you can find and mix and match to create pattered or solid colored pots in different shades of blue. Let it dry, spray a layer of varnish, let it dry again and on the next weekend either cluster them around or line them up. You can let them be as it is forming accent pieces or go one step further and plant a bougainvillea, geraniums or even throw in a bunch of money plants with adequate water and watch this transform your space to wonderland. If you live in a setting where you really cannot do much to the walls then this is for you. Paint in shades of blue and place them strategically under dim lights to give the feel of warmth and glow. 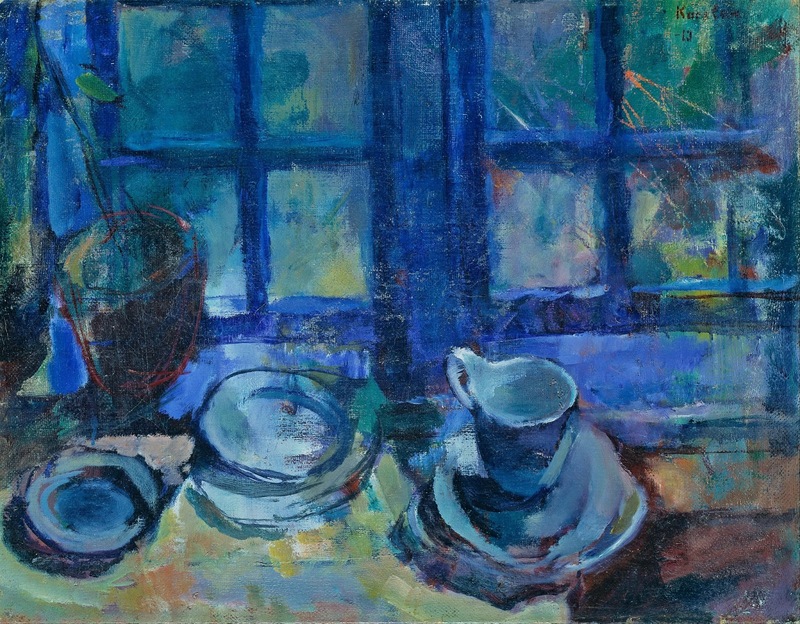 You could even create thread work masterpieces on canvas by creating a sketch, hammering some nails equidistant to each other on its outlines and then weaving yarns of different shades of blue to create a light and shade thread-work art. 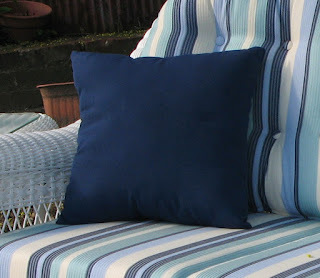 Now nail it or prop it against a wall and you have created a blue accent space right away. 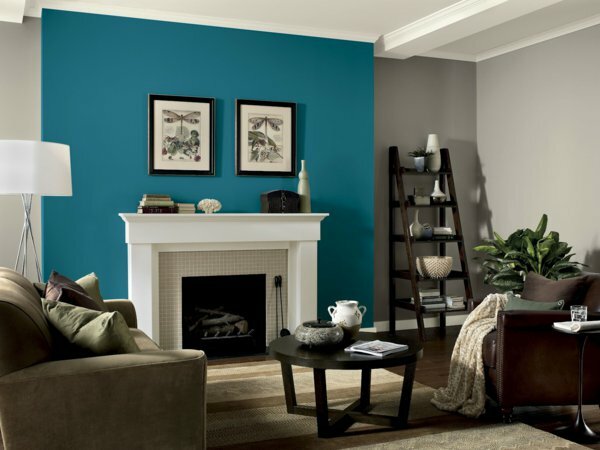 Blue transforms your home and hearth into a warm, airy, friendly space. Do not let this thought go, look around you and incorporate this purely magical color. Blue is the warmest color.